Pneumatic, or vacuum, elevators offer increased independence at home for individuals with limited mobility. Their design offers several advantages over other types of elevators. A pneumatic elevator uses air pressure to move the cab. A vacuum seal is built into the ceiling of the cab. When the rider wants to go up, turbines at the top of the tube draw air out of the tube and pull the cab upward. Steel brakes stop the cab at the desired floor and secure it to the landing. To descend, the turbines turn on briefly to lift the cab off the brakes. Then the turbines turn off and the cab lowers slowly. The steel brakes stop it on the desired floor. Since they operate using air pressure, pneumatic elevators do not require the mechanical system or machine room characteristic of other elevators. Vacuum elevators also do not require digging a pit or constructing a hoistway, which lowers installation time and costs. 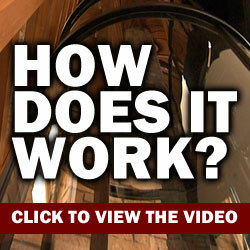 Vacuum elevators can attach to a balcony or travel through a hole in the floor. Since they can fit into small spaces, pneumatic elevators are ideal for residential use. Their clear design means they will not overwhelm a room. Vision Elevators carries three pneumatic elevator models. The Vision 350 is the most compact and can fit virtually anywhere. It measures 30 inches in diameter and can support up to 350 pounds. It can travel up to 35 feet at a rate of 30 feet per minute and can make two to four stops. Our most popular vacuum elevator is the Vision 450. Its compact design measures 37 inches in diameter, making it wide enough for two people. It can transport up to 450 pounds at a rate of 30 feet per minute for up to four stops. 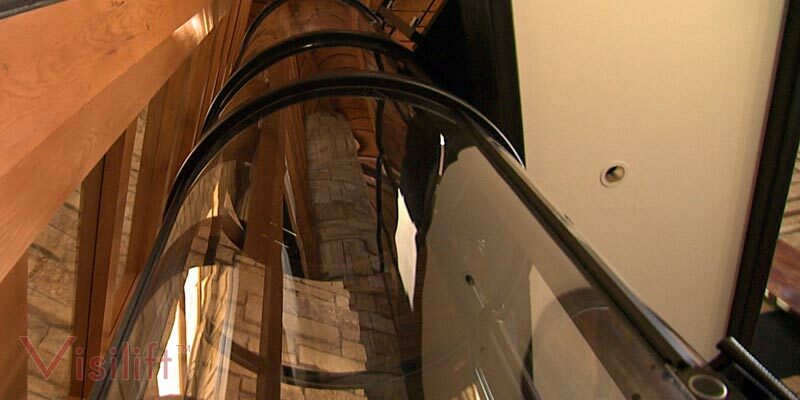 The Vision 550 pneumatic elevator adds the option of wheelchair accessibility to your home. It measures 52 inches in diameter and can transport up to 525 pounds up to 35 feet for up to four stops at a rate of 20 feet per minute. If you need to increase mobility at home for yourself or a loved one, a pneumatic elevator from Vision Elevators may be the perfect solution. 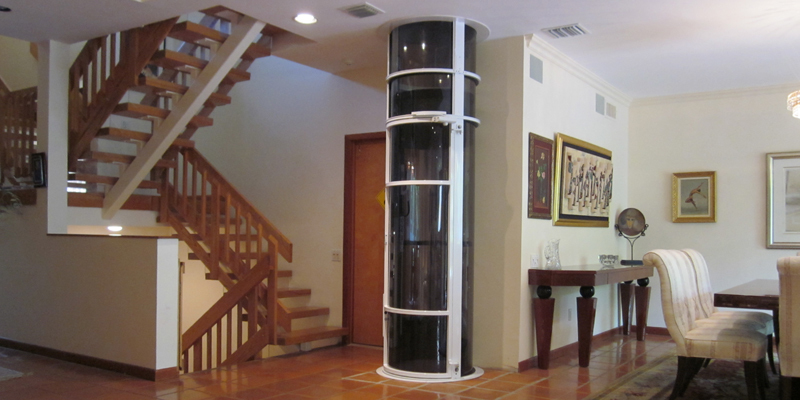 A vacuum elevator can fit almost anywhere and can enhance the style of any space while providing a 360-degree view of your home.